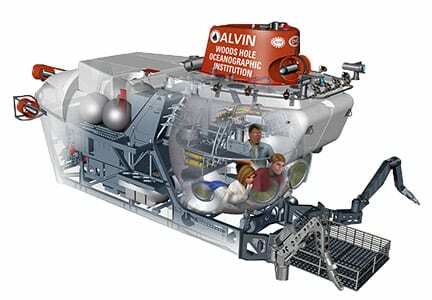 Alvin is the world’s longest-operating deep sea submersible. It was launched in 1964 and has made more than 4,700 dives, along the way participating in some of the most iconic discoveries in the deep ocean. Throughout 2011, 2012 and into 2013, Alvin received a comprehensive overhaul and upgrade funded by the National Science Foundation that greatly expanded its capabilities and will eventually put almost the entire ocean floor within its reach. Several of these and other improvements to the sub have been designed to withstand descents to 6,500 meters—the remainder will be upgraded later. As a result, Alvin will initially maintain its current depth rating of 4,500 meters. In Stage 2, the entire sub will be upgraded to 6,500 meters depth. In addition, new batteries will be introduced to enable the submersible to stay at depth longer, giving scientists more time to work in unexplored parts of the ocean and putting 98 percent of the seafloor within their reach. Personnel sphere volume: 144 cubic ft.